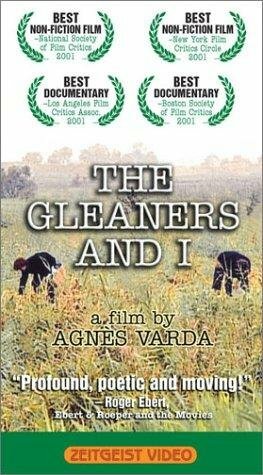 In this documentary director Agnès Varda deals with the issue of wealth and poverty in modern day France by exploring the world of gleaners and pickers. Gleaners are individuals who search farmers’ fields for produce the mechanical harvesting equipment may have left behind. In potato fields, the poor collect what potatoes can be found but also from crops that are rejected because of minor damage or size. In urban areas gleaners will pick through garbage cans to collect whatever food items have been thrown by supermarkets. Pickers on the other hand are those who collect non-food items put out for refuse collection. These can simply be recycled or used to produce self-styled art. The focus however is that in a land of plenty, there is a great of waste while many are left wanting.